Studying aquatic animals has never been easy. Hidden from view beneath the water surface, they can be hard to find let-alone study in terms of their long-range movements. 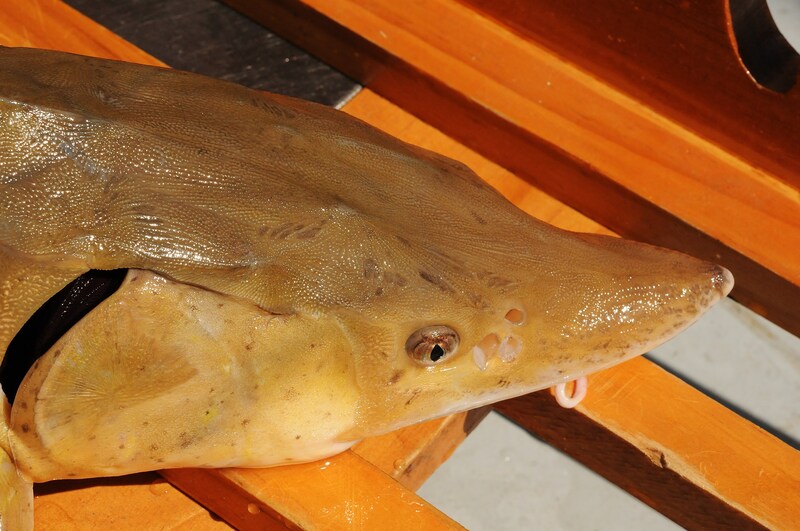 A recent paper published in the Journal of Animal Ecology investigated migratory behaviour in lake sturgeon. Lead author Steven Kessel from the Daniel P. Haerther Center for Conservation and Research at the John G. Shedd Aquarium is here to tell us how! Divergent migration (distinct migration behaviours within a population or among sympatric populations) is an important aspect of the ecology of mobile animals in both the terrestrial and aquatic realms. Divergent migration can increase the ability of individuals or populations to exploit spatially- or temporally-distributed food resources, and maximize spatiotemporal overlap with favourable growth conditions. A common trait of life history diversity in fish, the most frequently observed form of divergent migration is partial migration, in which individuals of a population are either residents or migrants. Divergent migration consisting of more than two distinct behaviours also has been observed through recent advancements in fish tracking technologies (e.g., acoustic telemetry) that enable continuous observation of multiple individuals for long time periods. Groups showing the same primary migration behaviour also may differ in their use of specific habitats, which results in the formation of migration subgroups or “contingents”. The movements of contingents also may provide clues to the geographical organization of populations that potentially interact as metapopulations. Widespread fragmentation of the world’s large rivers has made it difficult to determine the nature and basis of divergent migration in freshwater fish species. The extent of migration divergence shown by lake sturgeon (Acipenser fulvescens) in ecosystems free of man-made barriers to fish movement had not been described. The common perception of lake sturgeon breeding ecology has been that spawning-ready individuals migrate into rivers to spawn in the spring and summer, but reside in lakes when not reproductively active. In contrast to most spawning rivers used by lake sturgeon, the Detroit and St Clair rivers are among few large rivers in which sturgeon use of main-stem rivers is completely unrestricted by dams or other man-made barriers. 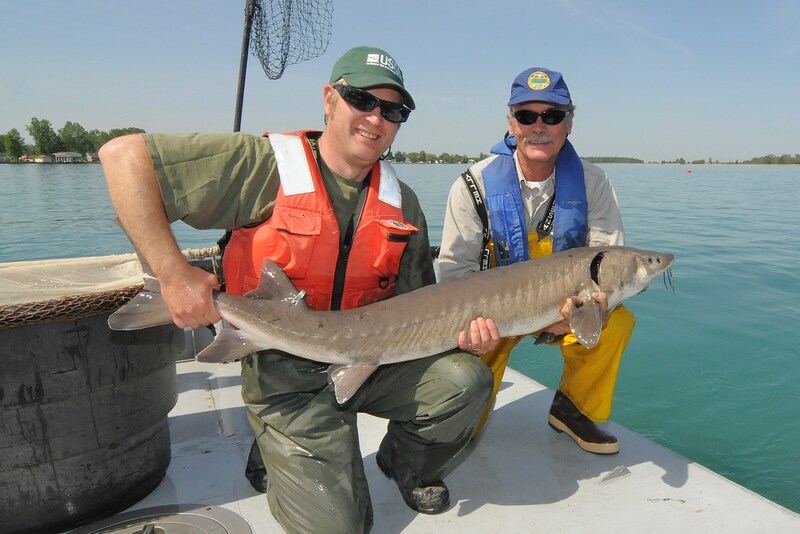 This study focused on lake sturgeon using the Lake Huron-to-Lake Erie Corridor (HEC), which included the St. Clair River, Lake St. Clair, and the Detroit River. The goals of this study were to determine whether lake sturgeon, in an environment free of barriers to fish movement, show divergent migration and contingent behaviour, and how migration behaviours help define population structure. 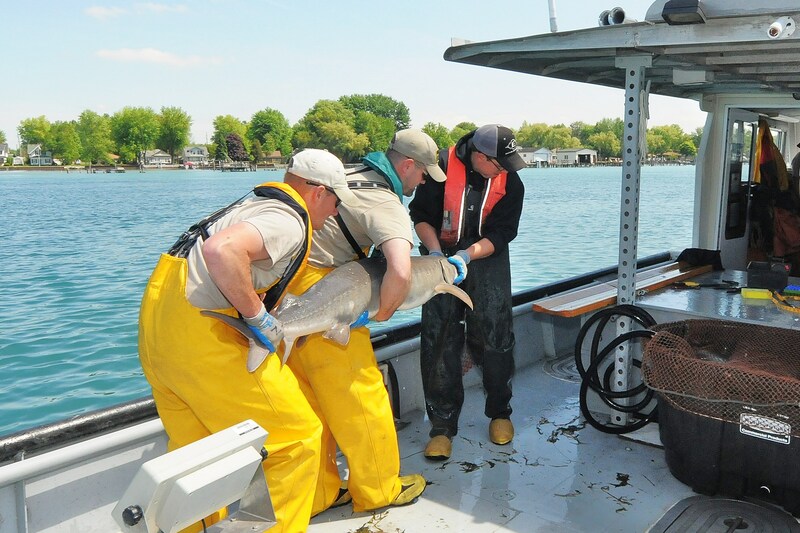 Our approach was to use acoustic telemetry to provide continuous multi-year observations of a large sample (>250 individuals) of adult-sized lake sturgeon. Over six years (2011 – 2016), movements of 268 lake sturgeon were continuously monitored across the Great Lakes using acoustic telemetry. 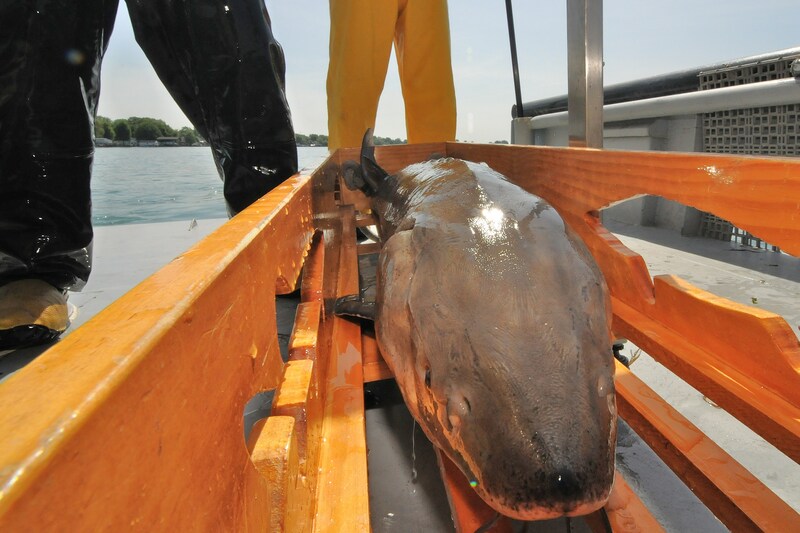 Lake sturgeon were captured from four distinct locations along the HEC by longline and trapnet, with three of the four sampling locations being known spawning sites in the Detroit River, the lower St. Clair River, and the upper St. Clair River. Lake sturgeon were implanted with acoustic transmitters through a small incision into their body cavity, and released back into the system. 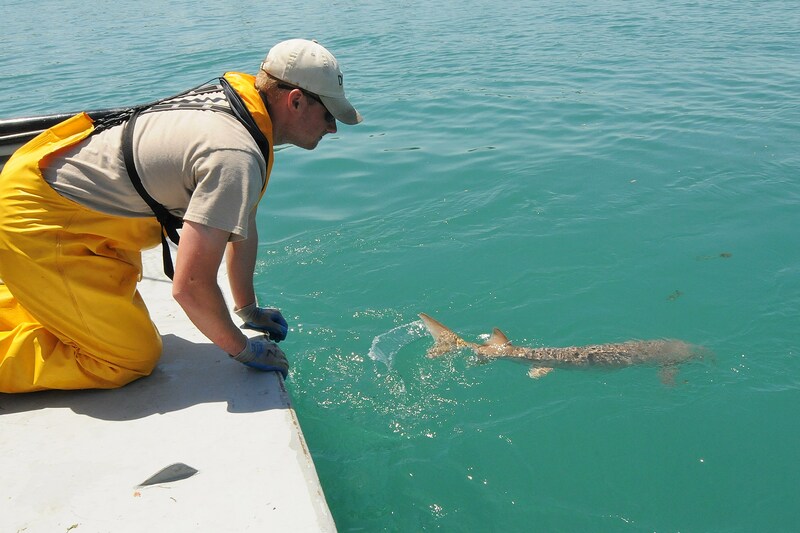 Their movements were monitored throughout the HEC and broader Great Lakes region with a network of acoustic receivers, established and maintained in collaboration with the Great Lakes Acoustic Telemetry Observation System (GLATOS; http://glatos.glos.us). Five distinct migration strategies were identified with hierarchical cluster analysis, based on the phenology and duration of river and lake use. Specific strategies included year-round river residency and multiple lake-migrant behaviors that involved movements between lakes and rivers. ‘Seasonal river (summer)-lake (winter) migrants’ were individuals detected annually in rivers during the spring and summer months (May to September), but moved into one of the lakes during the winter, whereas ‘lake dominant migrants’ were individuals that spent the majority of their time in one of the lakes, but made brief trips into rivers every 1-4 years, usually during April-June, coincident with spawning season. ‘Seasonal lake (summer)-river (winter) migrants’ used lakes in the spring-summer and rivers as overwintering habitat. Lastly, ‘lake skipper migrants’ were individuals that made seasonal transitions between a river and multiple lakes in a repeatable pattern. Individual’s movements were consistently repeated over the study, which suggested migration strategies were consistent and persistent in lake sturgeon. The distribution of migration strategies did not vary between populations, sexes, body size, or among release locations, which indicated that intrapopulation variability in migratory behavior is a general feature of the spatial ecology of lake sturgeon in un-fragmented landscapes. Differential use of specific rivers or lakes by acoustic-tagged lake sturgeon further subdivided individuals into 14 “contingents”. 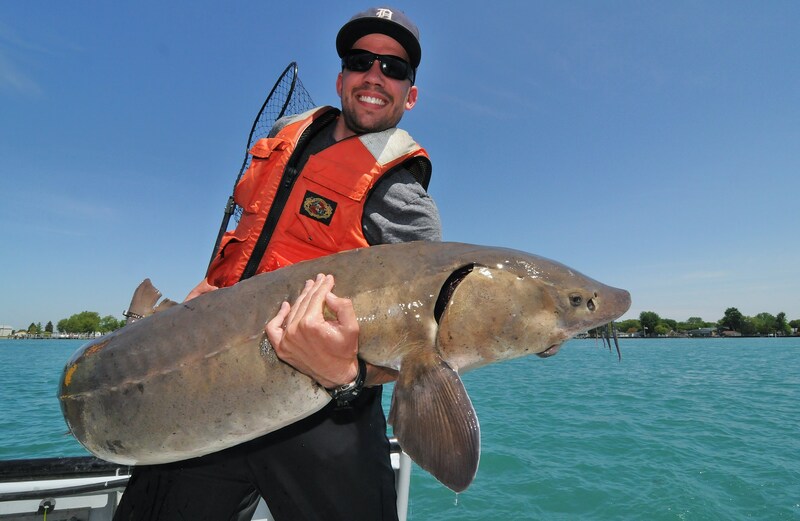 Contingents associated with one river (Detroit or St. Clair) were rarely detected in the other river, which confirmed that lake sturgeon in the Detroit and St. Clair represent two semi-independent populations that could require separate management consideration for their conservation. Identification of partial migration, distinct migration behaviours and contingents, and distinct geographic units, provided essential insight into lake sturgeon spatial ecology in the HEC. Through the use of acoustic telemetry, this study addressed important data voids particularly in relation to population-scale movement and dispersal patterns at ecologically-relevant temporal scales, not discernible from genetic analyses alone. Regionally, information relating to spatial ecology, such as that presented in this study, is critical for the assessment of management and restoration efforts, population abundance, and to guide the direction for future lake sturgeon conservation behaviours. Population persistence, resilience, and recovery potential can be maximized by protecting novel migration phenotypes and by removing barriers to movement that potentially suppress expression of multiple movement behaviours. Kessel, S.T., Hondorp, D.W., Holbrook, C.M., Boase, J.C., Chiotti, J.A., Thomas, M.V., Wills, T.C., Roseman, E.F., Drouin, R. and Krueger, C.C. (2018) Divergent migration within lake sturgeon (Acipenser fulvescens) populations: Multiple distinct patterns exist across an unrestricted migration corridor. Journal of Animal Ecology, 87: 259–273.